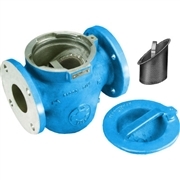 We carry a variety of basket strainers, filter vessels and replacement media. Port Sizes: .75" to 8"
FSI Bag and cartridge vessels available in a variety of materials. Basket strainers are available for pre-screening particulates.